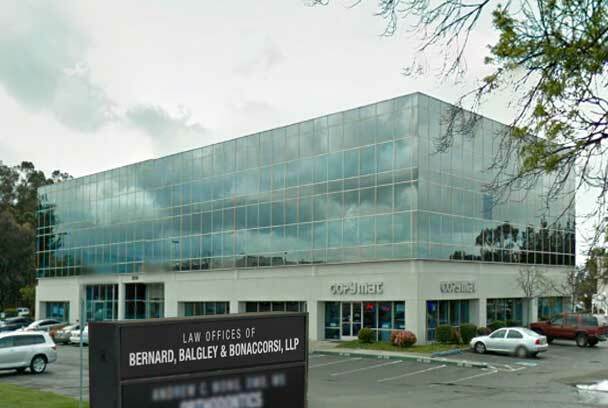 Bernard, Balgley & Bonaccorsi, LLP. We are AV rated by Martindale Hubble, the highest rating possible.....Our firm provides legal services in the areas of civil litigation, personal injury, family law probate, living trusts, wills and estate planning, land use and real estate law, business law, landlord-tenant. Our clients range from individual to small businesses to large national corporations. We take pride in catering to the needs of the individual client, whether that client is an individual, or small or large business. We have built enduring relationships with our clients based on honesty, trust and dedication to the needs of the particular client. We have represented many of our clients for more than 20 years. We provide our clients with extensive personal attention and meticulous preparation on all matters. Our specialized expertise, aggressive advocacy and extensive case preparation has fostered an outstanding record of success at all levels. Yet we are strong believers in providing practical advice to our clients in order to save them time and money. We have the knowledge and experience to successfully assist each client with a broad range of legal concerns. Our mission is to provide quality representation in the most practical and beneficial manner for our clients. We are committed to thorough preparation of every matter. No detail is too small. Our highest duty is to seek the most the appropriate solution in advancing and protecting the best interests of our clients. Please explore our site and review our practice areas to find out more about our firm and the services that we can provide. Feel free to contact us with any questions you might have.